Home Shopping Network (HSN) is a $4 billion company that specializes in direct-to-consumer sales via TV, online, and mobile devices. Founded in 1982, HSN was the nation’s first television shopping network and is available to consumers 24 hours a day, 365 days a year. Reaching 95 million U.S. homes, it uses full- and part-time virtual call center agents as its customer service and sales staff—tasked with selling a variety of home, lifestyle, health and beauty, fashion, jewelry, and electronics products. HSN offers work-at-home employment—not independent contractor positions—that are tied to a specific geographic location. Currently, those locations are thirteen cities in California, Florida, Ohio, Tennessee, and Virginia. Agents field inbound calls and answer questions, upsell merchandise, and complete sales transactions. Nearly all of the virtual call agent positions are sales jobs. Full-time positions require a 40-hour-per-week commitment. Working weekends and holidays is mandatory, but employees receive two predetermined days off per week. Also, all work-at-home employees must be available to work on-site once a month. Part-time positions are available, as are seasonal positions—especially during the winter holiday season. HSN home-based agents receive a base rate per hour plus incentive opportunities. All agents are put through a training program to become knowledgeable in HSN's "fun" approach to selling and so there is consistency in how products are sold. The training is paid. Benefits for employees working at least 30 hours per week include health insurance, dental plans, vision care, life insurance, short- and long-term disability coverage, a retirement savings plan, employee-stock-purchase plan, and generous discounts on HSN merchandise. Also, the company allows employees two paid days per year to perform community service activities. Applicants must be 18 years old with at least a high-school-level education, which can be a GED equivalent. 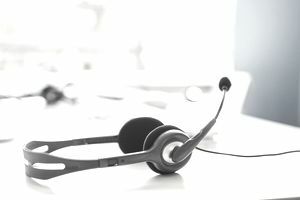 All call center employees must have strong computer and internet skills, be familiar with Microsoft Windows and Outlook, and have prior experience either in sales or customer service. Some of the traits HSN looks for in employees are attention to detail, follow-through, organizational skills, good communication skills, and the ability to please customers and generate excitement about the products being sold. HSN agents are required to provide their own Windows desktop computer and internet service (either DSL or cable). Anyone interested in taking this career path should explore the other typical home call center office requirements. Virus and spyware protection software and a working firewall. It's important to note that HSN home-based jobs are only for applicants who live near one of the cable network's 13 cities with established offices. Also, because it's hard to specify boundaries, there may be specific restrictions based on a potential employee's area code. High-speed internet connection. Satellite, broadband, wireless or dial-up services are not acceptable. Mouse and Keyboard (wireless is allowed). If you're working from home (even if you have an employer) you will incur expenses you would not incur if you were working at a brick-and-mortar establishment. The IRS realizes this and allows certain deductions—some bigger, some smaller. If you work out of a dedicated room (even if it's a slice of a room) to conduct your business, the IRS considers that space a home office. As such, and you can deduct part (but not all) of some of your home expenses. These expenses include your monthly rent and utilities such as heat and electricity, property tax, mortgage interest, and homeowners insurance. For example, if your rental home is 2,000 square feet and your office space takes up 20 percent of that, you can deduct 20 percent of your rent and utilities. This is where you have to narrow focus and think about every expense you incur from purchasing pens and pencils to staples to paper clips. Keep a separate folder and collect your receipts there to make it easier when it's time to file. Newly purchased larger items—like a desk, chair, filing cabinet—can also be deducted if essential to your work. Secondary items—like a fancy slipcover for your office chair—are not deductible. Usually, there will be an in-house IT team to help you overcome any computer issues or help you install any programs necessary to your work. However, if a technician is not available, or unable to solve a problem, you can hire someone on your own—and that professional's fee is tax deductible. As always, check with your accountant to be sure you're deducting the right amount. If you're interested in working either full-time or part-time for HSN (and live in the right area) simply go to the HSN Careers website and filter jobs by category. Next, check "Work At Home" to see all of the current openings. From there, you can apply online or upload a resume for the position you're interested in. After uploading your resume or filling out an application, you will be asked to fill out a timed assessment questionnaire. The questionnaire asks questions about your flexibility in terms of hours and scheduling, as well as queries about such personal traits such as organization, self-confidence, honesty, work ethic, stress levels, persuasiveness, and your comfort level with technology and sales. The questionnaire also gauges skills such as your ability to match up numbers accurately, grammar, and your knowledge of computers—specifically Windows. After filling out the application and assessment, you will be contacted for a phone interview if HSN deems your qualifications a match for one of its open positions. If you don't live in one of the five states where HSN hires work-at-home agents, find a Call Center Job in Your State or a Call Center Job in Canada.